When I was a child, my intrepid and adventurous grandmother took me snorkelling. Together we marvelled at the marine life we discovered beneath us – from tiny shrimps clicking their pincers, to beautiful butterfly fish that gracefully darted away from us, to baby sharks that glided across the sand in search of food. The ocean had me hooked. As a teenager growing up in South Africa, I spent a lot of my time photographing our beautiful wildlife, mountains and oceans. I was entranced by the natural angles in nature and dedicated many hours trying to capture what I saw. I first used a camera underwater in 2002 and my photos were horrendous. It was a film camera that my husband Deon and I had bought for a trip to Mozambique. Unfortunately, the photos, once developed, were shocking! Everything I had learned during my photography courses at college went out the window. Underwater photography was a whole new ballgame – and it sucked! By 2009, Deon was happily taking great photos with his new digital underwater camera. He talked me into trying again but my photos were so bad, I decided to try my hand at underwater videography instead. That was much easier and I had a lot of fun, whilst he ran his dive centre in Gordon’s Bay (Indigo Scuba), I spent my time filming his students on their scuba courses and making videos of our local dive sites and overseas dive trips. As cameras became more advanced, I bought myself the brilliant little Canon S95 and decided to try photography again…. Determined to get it right, I taught myself everything there was to know about F-stops, ISO, shutter speeds and the balance of light underwater and it finally all came together! This was my proverbial “lightbulb moment”. That was in 2012. I took ambient light photos for almost a year before using my first strobe. And what a revelation that was! The colours popped – I was amazed! Today, I use a Canon 7D Mkii in a Sea & Sea housing. My go-to lenses are my Canon 60mm and Canon 100mm macro lenses, sometimes with a wet diopter for the smaller critters. For wide angle, I use my Tokina 10 – 17mm fisheye and a Sigma 17 – 70 macro zoom for versatility. Not one for entering competitions, I have been “bullied” into entering a few, mainly local underwater photography competitions. It was very exciting to be placed, but I am still not convinced that this is “my thing” as I would much rather concentrate on my photography and writing! As a freelance photographer and writer, I enjoy writing articles on underwater photography and diving destinations. For examples of my writing, please visit my Portfolio. 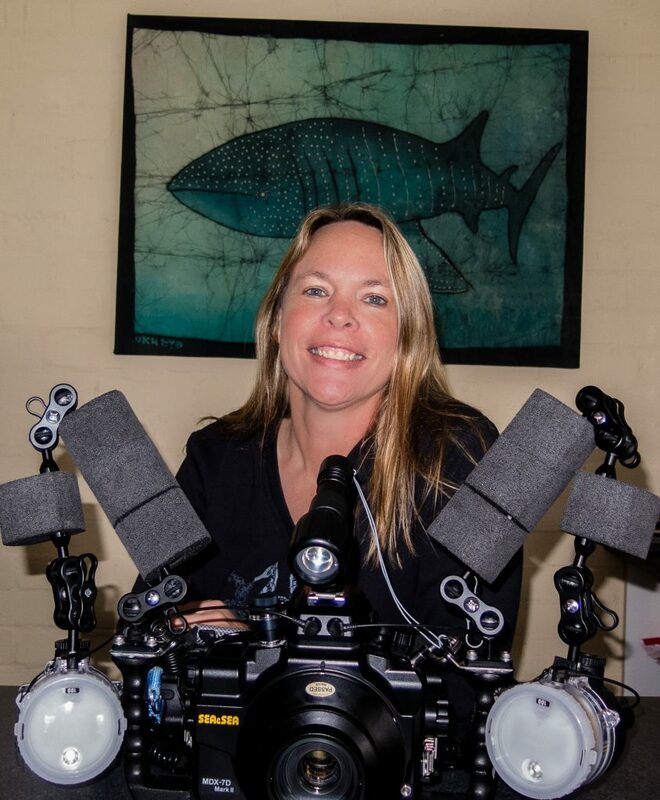 I am a regular contributor to international X-Ray Dive Magazine have been published in a number of South African magazines including WildAfrica. My photos have been featured on the iconic Wetpixel website and I am a featured underwater photographer on the uwphotographers.net website. My portfolio has also been featured in the digital e-magazine Scubashooters.net, issue 23, January 2016. My portfolio is also featured on SUALTI Gazetesi.